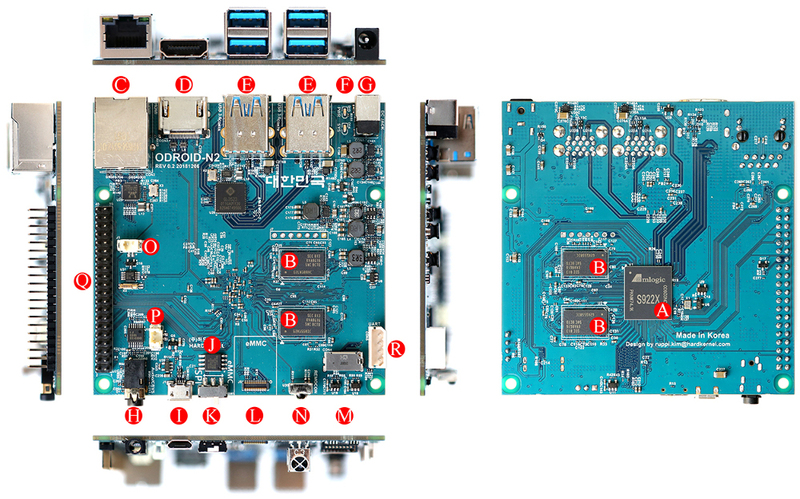 Hardkernel announced an “Odroid-N2” SBC with a Cortex-A73 and -A53 based Amlogic S922X SoC plus 2-4GB DDR4, 4x USB 3.0, HDMI 2.1, an audio DAC, and a 40-pin header. Hardkernel unveiled its open-spec, Ubuntu-ready Odroid-N1 SBC a year ago with a Rockchip RK3399 SoC. Since it was scheduled for June shipment, we included it our reader survey of 116 hacker boards. Yet, just before we published the results, including a #16 ranking for the N1, Hardkernel announced it was shelving the board due to sourcing problems and switching to a similar new board with an unnamed new SoC. The Odroid-N2 would also switch to DDR4 RAM from the previously announced DDR3, which was in short supply. (click images to enlarge)The Odroid-N2 will arrive in April about four months later than intended, but with a much lower $63 (2GB RAM) and $79 (4GB) price compared to the original Odroid-N1 goal of “about $110.” The new model has also advanced to a similarly hexa-core, but much faster Amlogic S922X SoC, which was unveiled in September along with the quad-core -A53 Amlogic S905X2 and S905Y2. 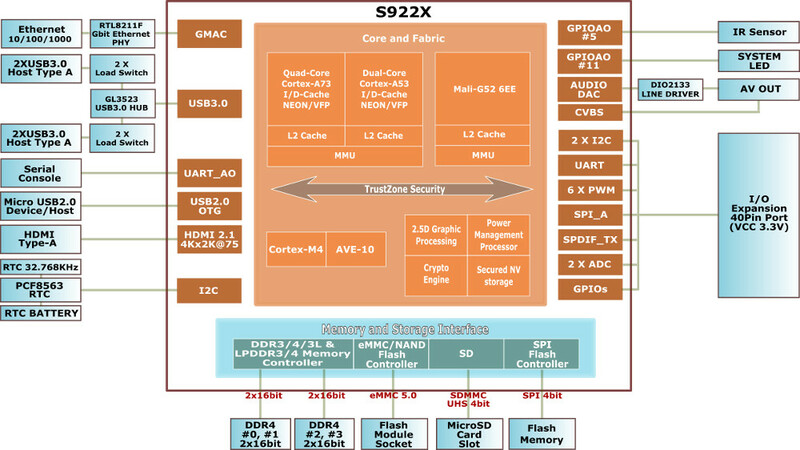 Amlogic has yet to post a product page for the 12nm-fabricated S922X, which integrates 4x Cortex-A73 cores instead of the RK3399’s 2x 2.0GHz -A72 cores. The S922X also has 2x -A53 cores that clock to 1.9GHz instead of 4x 1.5GHz -A53 cores on the high-end version of the RK3399 used by the N1. The N2 also moves up to a Mali-G52 GPU with 6x 846MHz execution engines, which the Odroid project benchmarks as 10 percent faster. 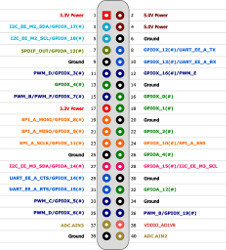 (click images to enlarge)Hardkernel has posted benchmarks that claim around 20 percent faster CPU performance than the RK3399-driven N1. The inclusion of a substantial metal heatsink and the placement of the SoC and RAM on the bottom of the board enable top speeds “without thermal throttling,” says the Odroid project. With the 4GB version (the only configuration announced for the N1), the N2’s 1320MHz DDR4-RAM is claimed to be 35 percent faster than the N1’s 800MHz DDR3. Although it may not make much sense to compare the Odroid-N2 to a board that never shipped, it should be noted that the Odroid-N1’s PCIe-based SATA connectors (also found on a few other RK3399 boards) have disappeared. However, you get 4x USB 3.0 host ports instead of a split between 3.0 and 2.0. (click image to enlarge)The USB ports sit next to a faster GbE port (about 1Gbps) and a 4K-ready HDMI port which is variablly listed as 2.0 and 2.1. For wireless, you’ll need to use one of the USB ports. (click image to enlarge)The Odroid-N2 is slightly smaller than the N1 at 90 x 90 x 17mm and has a different design. Several ports such as the micro-USB OTG port and new IR sensor and composite A/V jack appear on the opposite coastline. The A/V jack includes a high-quality audio DAC (384Khz/32bit) with dynamic range, near-100dB SNR, and Total-Harmonic-Distortion lower than 0.006 percent, claims the Odroid project. The 40-pin expansion header provides 25x GPIO, 2x I2C, SPDIF, and other 3.3V interfaces except for the dual 1.8V ADC signals. 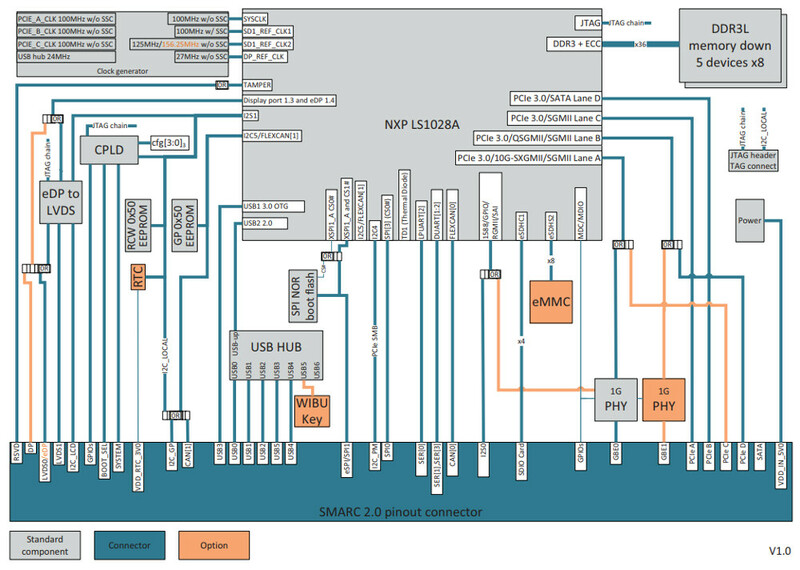 The pinout is said to be similar to the Amlogic S905 based Odroid-C2. There’s a wide-range 7.5-20V DC jack, and power consumption is listed as 1.8W idle to 5.5W CPU stress. No operating range was listed, but benchmarks suggest it runs run fine at 35°C. 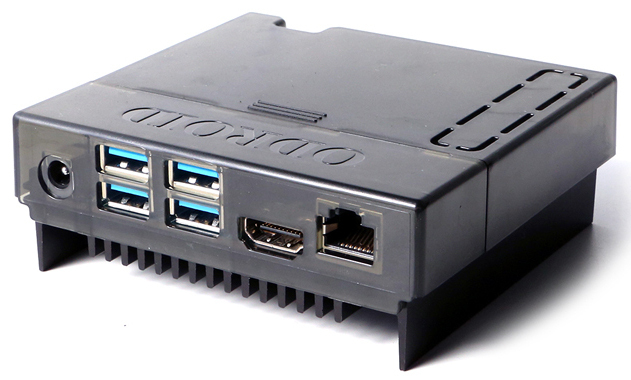 The Odroid-N2 is available with 64-bit Ubuntu 18.04 LTS with Linux 4.9.152 LTS and Android 9 Pie “with full source code BSP and pre-built image together.” There is no X11 GPU driver and the Mali G52 GPU Linux driver currently works only on the framebuffer, but there’s a hardware-accelerated VPU driver. A Linux Wayland driver and Vulkan capable GPU driver for Android are in the works. (click images to enlarge)The board ships with 8MB SPI along with a boot select switch and a Petitboot app. It requires removal of any bootable eMMC while you’re making the switch. Odroid boards, such as the ever popular Odroid-XU4 have usually scored high in our reader surveys due to solid HW/SW quality, vigorous open source support, and a devoted community. 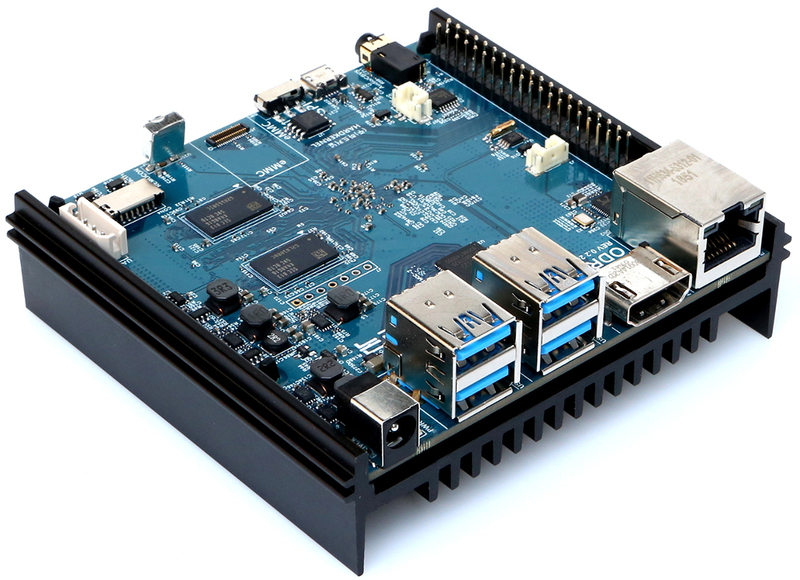 The Odroid project recently branched into x86 territory with its Intel Gemini Lake based Odroid-H2. 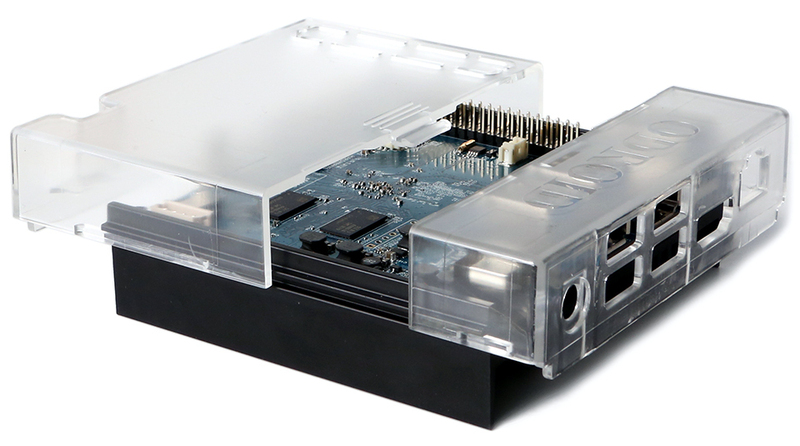 The Odroid-N2 will go on sale in late March with shipments beginning in April. Some engineering samples will head out to a lucky few over the next week. Pricing is $63 (2GB RAM) and $79 (4GB) price. 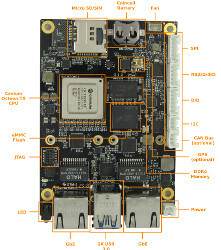 More information may be found on Hardkernel’s Odroid-N1 announcement and product page and wiki. This article originally appeared on LinuxGizmos.com on February 13. Digi International has announced the Digi WR54, a rugged, secure, high-performance wireless router for complex mobile and industrial environments. With dual cellular interfaces, Digi WR54 provides immediate carrier failover for near-constant uptime and continuous connectivity, especially as vehicles move throughout a city or for locations with marginal cellular coverage. Together with a hardened milspec-certified design and built-in Digi TrustFence security framework, this LTE-Advanced router is designed specifically to meet the connectivity challenges inherent in multi-location, on-the-move conditions, from rail and public transit to trucking fleets and emergency vehicle applications. LTE-Advanced technologies with carrier aggregation are pushing theoretical download speeds to 300 Mbps, and the next generation of cellular radios is capable of aggregating three or more channels for capabilities up to 600 Mbps. It’s expected that 5G deployments this year will push the demands for performance and edge computing even further. Digi WR54 provides an LTE-Advanced cellular module built on a platform that supports higher speeds to optimize bandwidth today while also being positioned for the future as network capabilities improve. 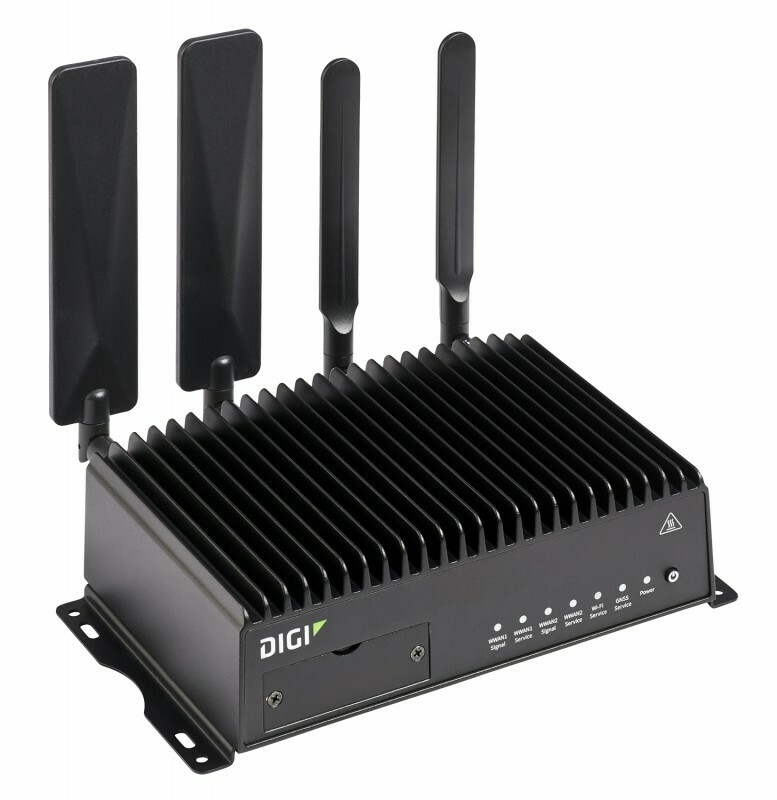 For users looking to add high-speed passenger Wi-Fi to mass transit systems, the recently launched Digi WR64 dual LTE-Advanced cellular and dual 802.11ac Wi-Fi router offers an all-in-one mobile communications solution for secure cellular connectivity between vehicles and a central operations center. It offers a flexible interface design with integrated Wi-Fi for client and access point connectivity along with USB, serial, a four-port wired Ethernet switch, GPS and Bluetooth in order to consolidate multiple transit or industrial applications into a single, consolidated router. Gateworks has spun a 100 mm x 35 mm, single-GbE “Newport GW6100” networking SBC, which follows a recent dual-GbE “GW6200” model. Both run Linux on a dual-core Cavium Octeon TX SoC and offer mini-PCIe expansion and -40 to 85°C support. 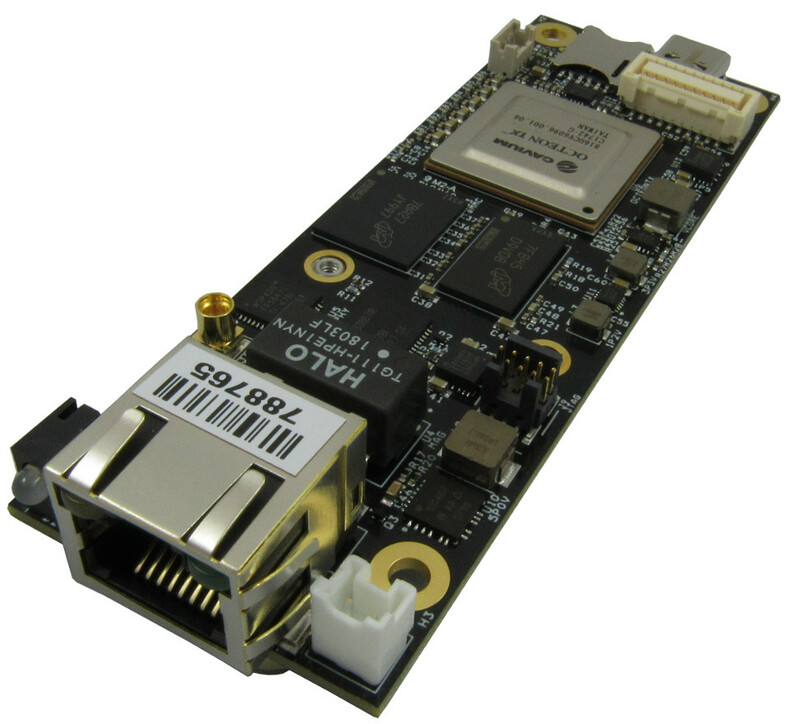 In Nov. 2017, when Gateworks unveiled its Newport family of Linux-driven, Octeon TX based SBCs with the 105 mm x 100 mm, dual GbE port Newport GW6300, it promised several more models in 2018. The 140 mm x 100 mm, 5-GbE port Newport GW6400 was announced in May along with a GW6404 sibling that swaps two of the GbE ports to SFP ports. Now, the company has launched the single-GbE port GW6100 model, which had been scheduled for a 2018 Q2 arrival. 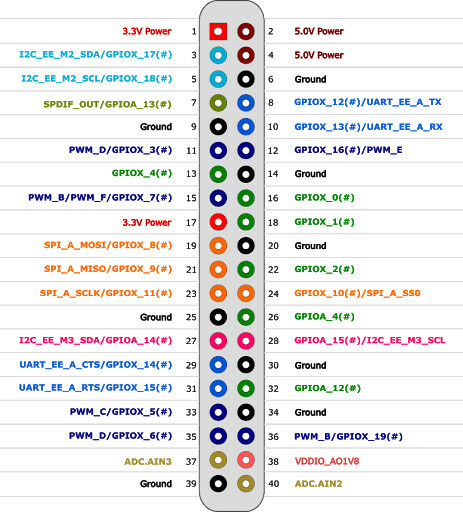 There was no announcement of the GW6100, which was discovered by CNXSoft, nor of the dual-port, 100 mm x 75 mm GW6200, which now has a product page (see farther below). (click images to enlarge)Like the other Newport SBCs, the new entries run OpenWrt or Ubuntu on Cavium’s networking focused Octeon TX SoC, which has Cortex-A53 like ”Thunder” cores. 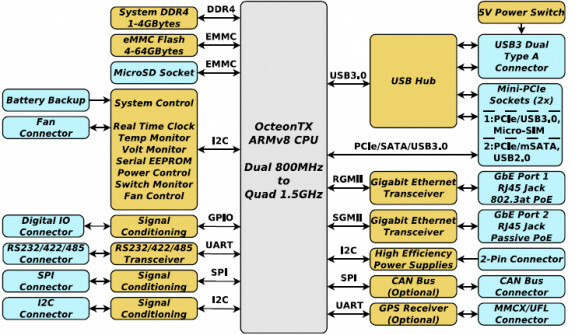 The embedded-oriented Octeon TX competes directly with NXP’s QorIQ line. Optimized to run multiple concurrent data and control planes simultaneously, the headless SoC integrates security architecture from Cavium’s Nitrox V security processors. While the Newport GW6300 and GW6400 both offer a choice of dual- (800MHz) or quad-core (1.5GHz) Octeon TX configurations, the GW6100 and GW6200 are limited to the 800MHz dual-core models. Volume orders are required to switch to the quad-core SoC or make other customizations, including boosting the standard 1GB DDR4 to up to 4GB or the standard 8GB eMMC to up to 64GB. The Newport GW6100 and GW6200 provide OpenWrt or Ubuntu Linux BSPs with U-Boot. A full development kit is available with a power supply, passive PoE injector, JTAG programmer, and cables. The tiny new GW6100 offers 1GB DDR4, 8GB eMMC, and a GbE port with PoE support. You can also draw power from the USB Type-C port, and there’s a JTAG connection and an I/O connector. 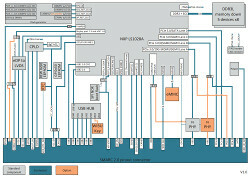 The latter offers serial, analog, and digital I/O, as well as I2C, SPI, and power. (click image to enlarge)A single mini-PCIe slot accompanied by a nano-SIM slot supports third-party PCIe, USB 3.0, and mSATA cards. You can also choose from several Gateworks mini-PCIe options, including USB, DIO/analog I/O, microSD/USB/SIM, Femto, and IoT Radio (Sub-1GHz) modules. (click image to enlarge)Like all the Newport SBCs, the GW6100 provides standard -40 to 85°C support. There’s an 8-60V DC jack in addition to the PoE, Type-C, and power header options. Other features include reverse power protection, programmable wake-up/shutdown, a watchdog, real-time clock, and more. A Ublox GNSS receiver is optional. The 100 x 75mm Newport GW6200 adds to the GW6100 feature set with a microSD slot, a second GbE port (both with PoE), plus a second mini-PCIe slot. In place of the Type-C port you get 2x USB 3.0 ports. (click images to enlarge)The CW6200 is further equipped with side-mounted connectors for SPI, DIO, I2C, and either 2x RS232 or a single RS232/422/485 interface. A CAN bus controller is optional. The Newport GW6100 and Newport GW6200 appear to be available now at undisclosed prices. More information may be found on Gateworks’ Newport GW6100and Newport GW6200 product pages. AAEON has released the PICO-APL4, a compact SBC that features onboard memory and storage along with dual Gbit Ethernet support. The board is well suited for factory automation and IoT gateway systems. AAEON’s latest PICO form factor board is powered by an Intel Atom, Pentium N4200 or Celeron N3350 processor. By fitting the controller with up to 4 GB of onboard DDR3L memory and up to 64 GB of onboard eMMC storage, AAEON has made the board more resistant to the shocks and vibrations regularly experienced in industrial settings. This also cuts application development times because system developers don’t need to test the compatibility of external memory and storage. 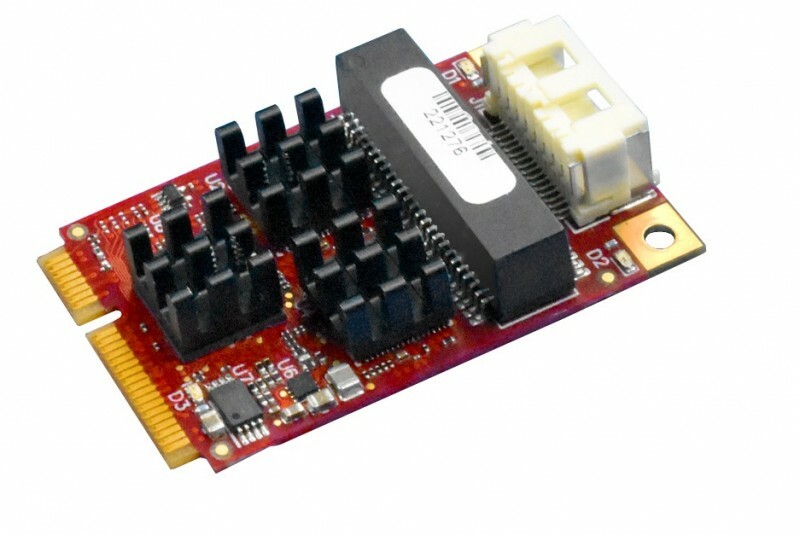 Versalogic has extended its line of industrial temperature, rugged Mini PCIe expansion products with the “E5”. This new Dual Gbit Ethernet expansion board provides an easy and economical way to add additional Ethernet ports to high-stress embedded computer systems. Unlike similar Mini PCIe boards, the E5 is completely self-contained with on-board magnetic isolation. There is no need for off-board magnetics or special cabling. The E5’s extremely small form factor format allows it to be added to systems with very little impact to the overall size of the solution. It’s well suited for size and weight optimized applications. Many applications required extreme temperature operation. Fully tested thermal management assures reliable operation over the full industrial temperature range (-40° to +85°C). Latching connectors and Mil Standard 202 shock and vibration testing ensure performance in demanding environments. The E5E is engineered and validated to excel in unforgiving environments. Bundle it with a rugged embedded computer board from VersaLogic for a one-stop solution to your industrial application needs. The E5 is customizable, even in low OEM quantities. Customization options include conformal coating, revision locks, custom labeling, customized testing and screening and so on. The E5 is compatible with a variety of popular operating systems such as Linux and Windows. The E5, part number VL-MPEe-E5E, is in stock at both Versalogic and Digi-Key. OEM quantity pricing starts at $137. 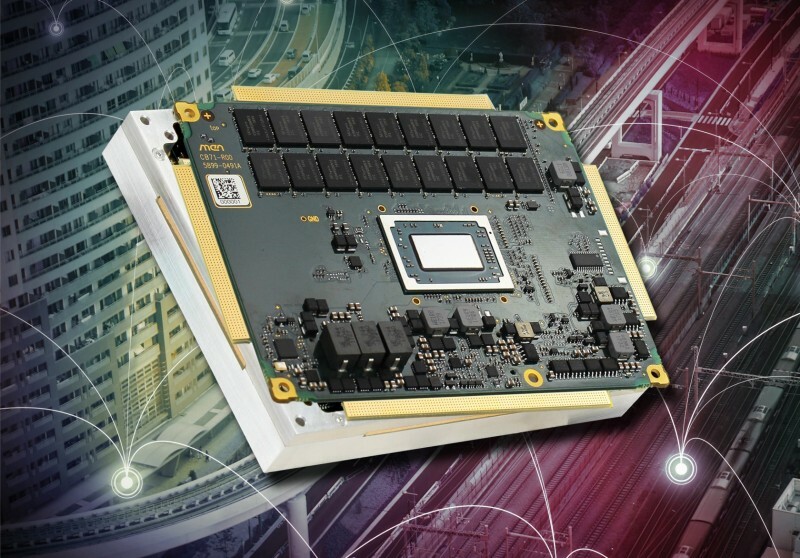 IBASE Technology has announced two SBCs, both powered by an NXP i.MX 6Dual Cortex-A9 1.0GHz high performance processor. 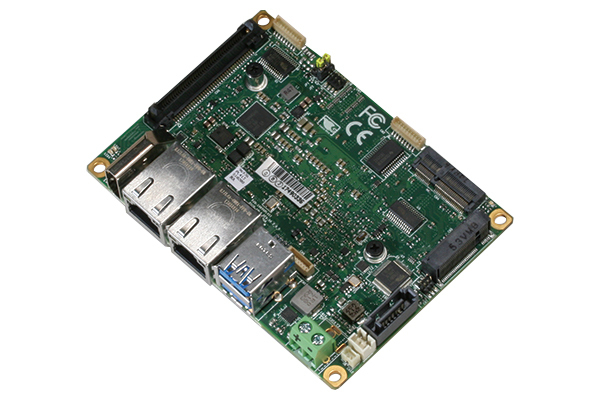 The IBR115 2.5-inch SBC and the IBR117 3.5-inch SBC are designed for use in applications in the automation, smart building, transportation and medical markets. IBR115 and IBR117 are highly scalable SBCs with extended operating temperature support of -40°C to 85°C and an optional heatsink. Supporting 1 GB DDR3 memory on board, the boards provide a number of interfaces for HDMI and single LVDS display interface, 4 GB eMMC, Micro SD, COM, GPIO, USB, USB-OTG, Gbit Ethernet and a M.2 Key-E interface. 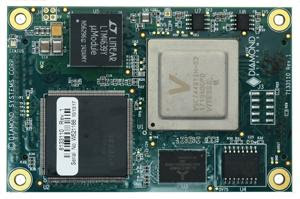 These embedded I/Os provide connection to peripherals such as WiFi, Bluetooth, GPS, storage, displays, and camera sensors for use in a variety of application environment while consuming low levels of power. 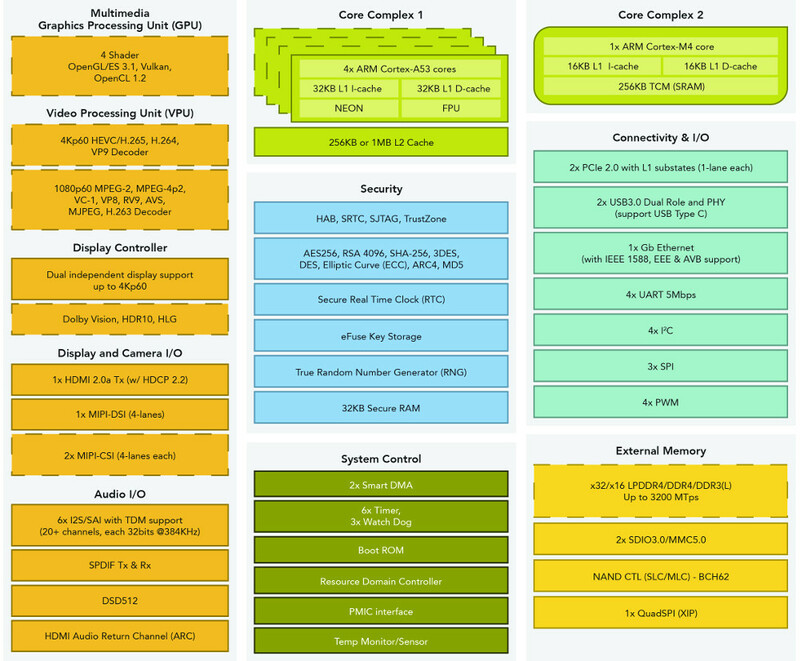 Both models ship with BSPs for Yocto Project 2.0 Linux and Android 6.0. They both run on dual-core, 1 GHz i.MX6 SoCs, but the IBR115 uses the DualLite while the IBR117 has a Dual with a slightly more advanced Vivante GPU. 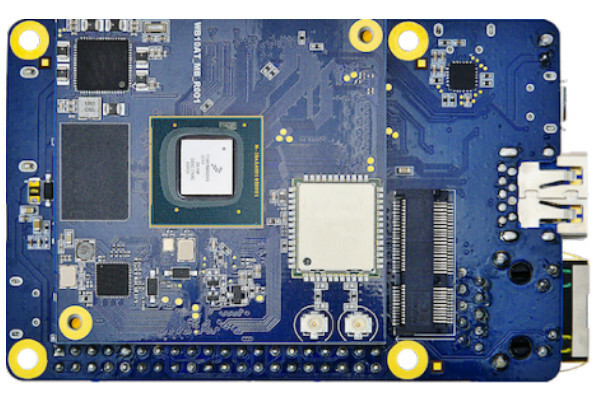 Gateworks has announced the release of the Newport GW6400 SBC, featuring the Cavium Octeon TX Dual/Quad Core ARM processor running up to 1.5 GHz. The GW6400 is the latest Newport family member with an extensive list of features, including five Gigabit Ethernet ports and two SFP fiber ports. The GW6400 comes in two standard stocking models, the Dual Core GW6400 and the fully loaded Quad Core GW6404 (shown).. 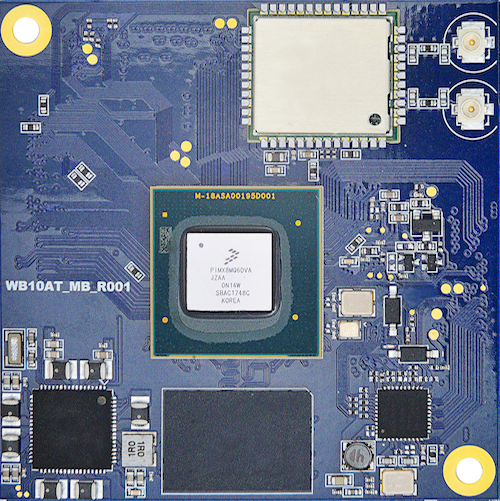 The GW6400 and GW6404 are members of the Gateworks 6th generation Newport family of single board computers targeted for a wide range of indoor and outdoor networking applications. 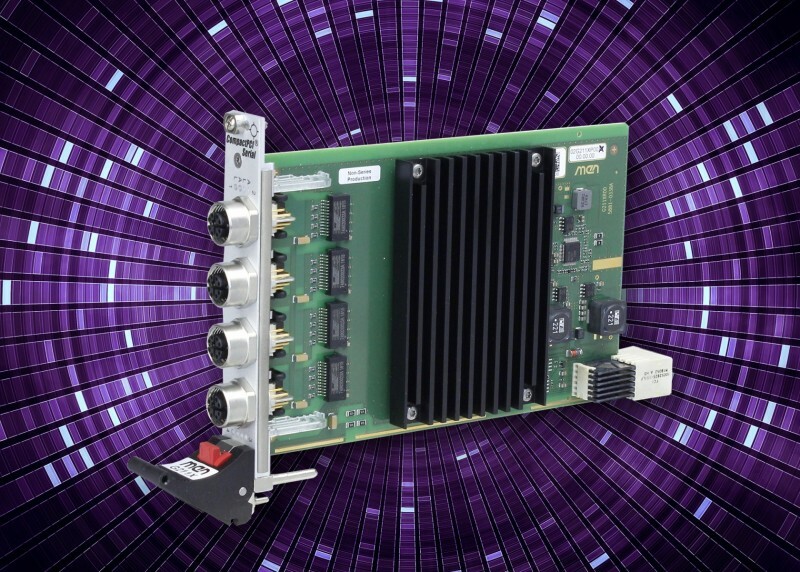 The SBCs feature the Cavium OcteonTX ARMv8 SoC processor, up to five Gigabit Ethernet ports, and four Mini-PCIe expansion sockets for supporting 802.11abgn/ac wireless radios, LTE/4G/3G CDMA/GSM cellular modems, mSATA drives and other PCI Express peripherals. A wide-range DC input power supply provides up to 15 W to the Mini-PCIe sockets for supporting the latest high-power radios and up to 10 W to the USB 2.0/3.0 jacks for powering external devices. Power is applied through a barrel jack or an Ethernet jack with either 802.3at or Passive Power over Ethernet. The GW6400 does not have SFP Ports loaded. 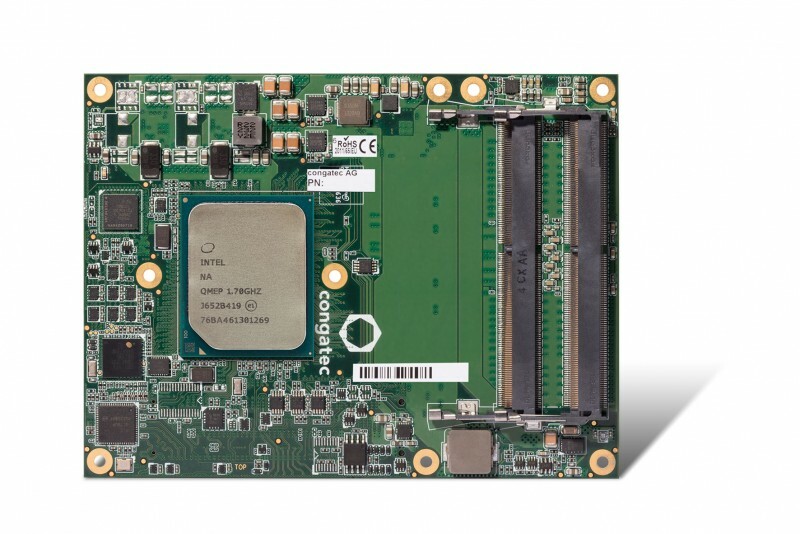 Congatec has announced the launch of the conga-B7AC, a new Intel Atom C3000 processor based COM Express Type 7 Server-on-Module with 10 GbE support. 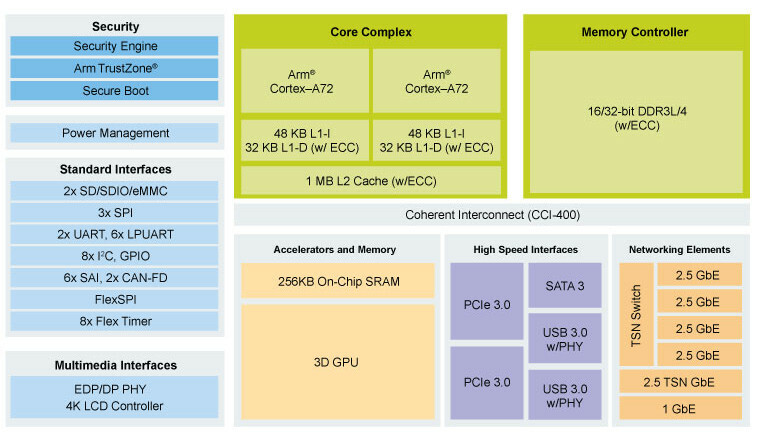 With a power consumption starting at only 11 W, the board blends the 16-core Atom processor with a four a channel GbE real-time capable network. The feature set is designed for modular industrial micro servers as well as rugged telecom and network equipment, such as small cells, factory gateways and storage systems. It is deployable even in the extended temperature range from -40°C to +85°C. The conga-B7AC is based on the new PICMG COM Express 3.0 specification. As a standardized building block, it is well suited for efficient custom designs of very small sized, passively cooled embedded edge systems. The new modules are application ready for redundant, real-time communication and virtualization platforms. They are designed to maximize uptime and resilience, minimize latency and to get the most out of each processing core. Their cloud API for distributed embedded edge servers further provides all the capabilities that data center managers need to remotely monitor system health, power consumption and environmental conditions. With the support of up to 20 PCIe lanes, the new Intel Atom C3000 processor based COM Express Type 7 Server-on-Modules also offer minimum latency for storage devices as well as very fast access lanes to all the various sensor networks, field buses and industrial Ethernet links. The new conga-B7AC COM Express Type 7 Server-on-Modules are available with 8 different Intel Atom server processors, from the 16-core Intel Atom C3958 processor to the quad-core C3508 for the extended temperature range (-40°C to +85°C). All modules provide up to 48 GB of fast 2400 DDR4 memory with or without error correction code (ECC) depending on customers’ requirements. They offer very high network capabilities with up to 4x 10 GbE and the Network Controller Sideband Interface (NC-SI) for connecting a baseboard management controller (BMC) allowing out-of-band remote manageability. Flexible system extensions including NVMe flash storage can be connected via up to 12x PCIe Gen 3.0 lanes and 8x PCIe Gen 2.0 lanes. 2x SATA 6G ports are available for conventional storage media. 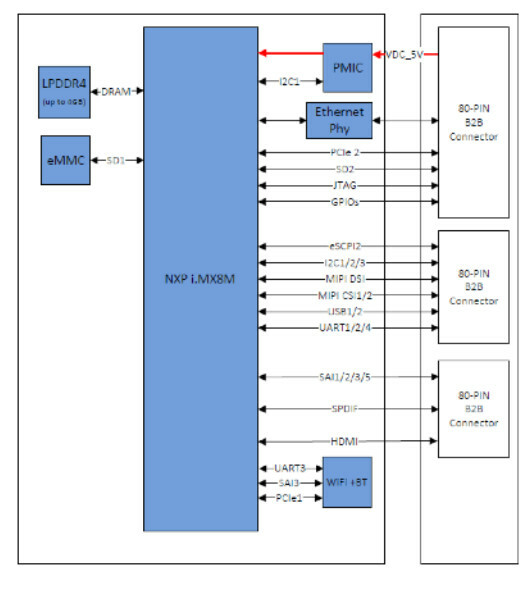 Further I/O interfaces include 2x USB 3.0, 4x USB 2.0, LPC, SPI, I2C Bus and 2x UART. Additionally, the module hosts a trusted platform module (TPM) for security sensitive network appliances.